A convivial late night joint, Employees Only is designed for punters looking for refined drinks in a more sophisticated Lan Kwai Fong setting. This is the fourth outpost of Employees Only. 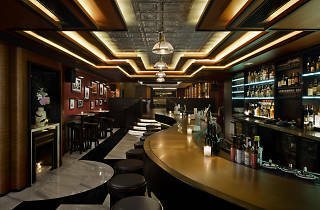 The New York City original has been a fixture on the World’s 50 Best Bars list since the awards started eight years ago. The Hong Kong branch operates out of the former Va Bene space on the quieter stretch of LKF. Lan Kwai Fong is a jarring location for a bar that’s decidedly more trendy than its neighbours. Once inside, it’s a world away from the usual LKF chaos. The vibe is awesome and 80s tunes punctuate the long, narrow space that houses a bar up front and a raised dining area further back. On our visit, the bar was rammed so we took a seat in the dining area. The Ready Fire Aim – a blend of mezcal, fresh lime juice, house-made honey-pineapple syrup and dashes of Firewater bitters, lived up to its name. It was a fiery, punchy yet refreshing tipple. The sweetness of the honey and pineapple mellowed the smoky notes without making the concoction saccharine. It was a great drink but not for the faint of palate. The Common Sense – Great King Street Artist’s Blend scotch, bianco vermouth, Averna Amaro and spiced chocolate bitters – was another decent drink but lacked the depth and challenge I enjoyed with the Ready Fire Aim. We ordered some hand-cut steak tartare, as well as seared scallops with bone marrow mash and toasted hazelnuts. I was impressed with the tenderness of the chopped sirloin and it gets top marks for the seasoning, including fresh capers and shallots, mixed tableside. The scallops were plump and sweet and though they were a little overcooked, they paired well with the creamy bone marrow and toastiness of the nuts. It might be too early to call it, but with its sophisticated drinks I’m going to go ahead and declare that Employees Only is ready to spearhead a new wave of LKF gentrification. 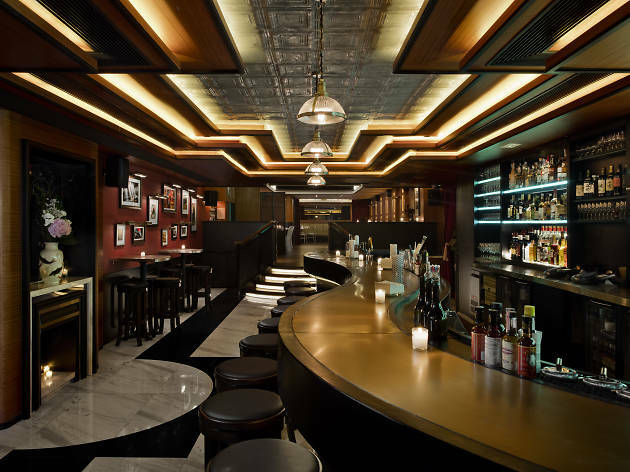 And with whisperings that infamous New York speakeasy Please Don’t Tell is set to open nearby, it might not be long before I can say I told you so.